Music production used to be an incredibly costly hobby and artistic pursuit, with most gear being out of reach to the average person. Unless you were involved in research on an academic level or you were a big name artist with a lot of cash, music production wasn’t a common pursuit. These days, thanks to technology ever pushing forward – this is no longer the case! An audio interface is an essential piece of hardware for all music producers. It gives a much higher quality sound compared to a built-in sound card on your computer. It also opens up opportunities to connect microphones, guitars, even synthesizers using audio or MIDI inputs, as well as output various signals. 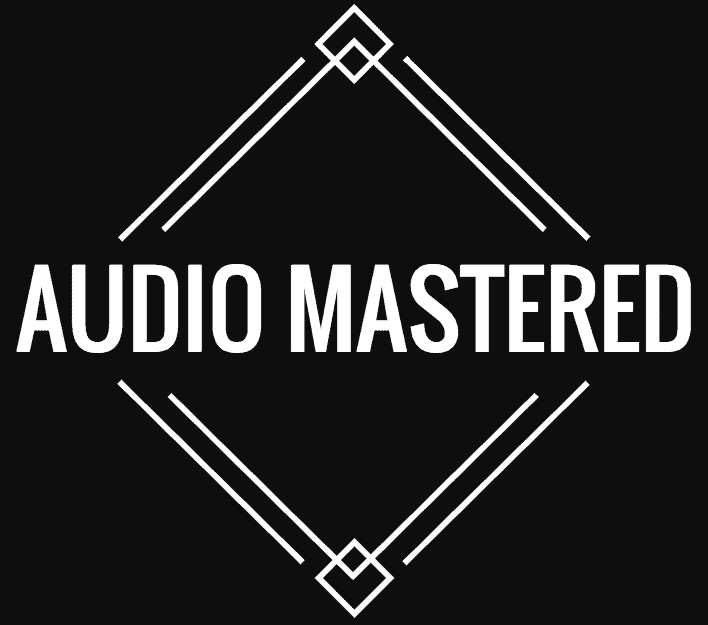 People are often surprised when I suggest that you don’t need to be buying top of the line audio interfaces in order to get high-quality audio. Granted, there are differences in overall sound quality, but it’s not really worth paying the extra money if you aren’t going to be recording professionally. When you’re new to the world of audio it can seem impossible to pick the best audio interface from reading specs alone. Even after you’ve been around for a while it’s still impossible to discern sound quality without actually hearing the interface in action. However, different brands have different reputation on their strengths and weaknesses. For example, Focusrite are widely known for their quality mic preamps, M-Audio are generally very versital and offer great bang for your buck, RME for their reliability, TC Electronic for their low jitter and amazing DSP reverbs and finally, Lynx for their PCI soundcard quality. Because most of you will be recording next to a number of other electrical devices (computers, laptops, etc.) there is one area where you’ll want to be careful. That is, using unbalanced input and output cables. 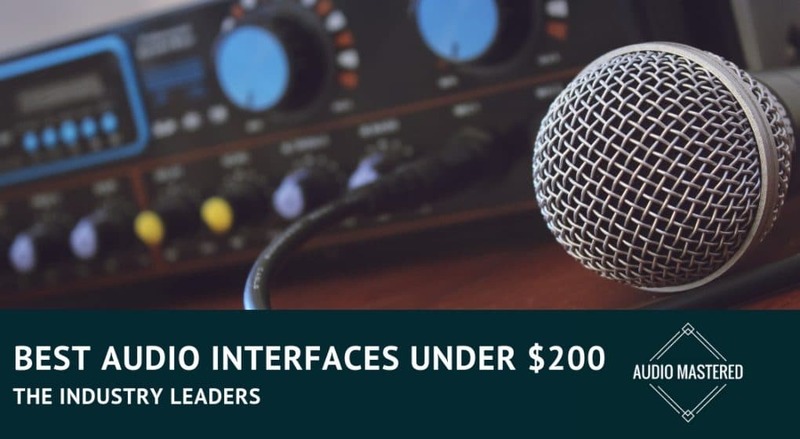 Budget interfaces often offer unbalanced inputs and outputs, while more expensive ones offer balanced I/O. Unbalanced cables can pick up electrical interference en-route to the interface. This usually presents itself as an annoying ‘hum’ in the background of your recording. The easiest way to avoid this is to use both balanced cables and an audio interface with balanced I/O. If you want to know more about cables, read this article here. If you are still worried about background interference or distortion I recommend recording all of your projects using 24-bit versus 16-bit. While this is regularly debated by recording engineers, I like to err on the side of caution and do all my recording using 24-bit. Additionally, it’s good practice to record at sensible sound levels. You should be peaking around -12dBFS (Full Scale) on the typical peak-reading digital meters found in most audio interfaces. This leaves you plenty of headroom for post production as well as prevents any chance of distortion. What Sample Rate Do I Need ? Sample rates are one of those marketing ploys used by audio companies to differentiate their interface from others in the market. The fact of the manner is, I don’t really know anyone who works with 192kHz. Personally, I only work at 44.1kHz. This is all the information you’ll need to record at CD quality while still being light on your processor. Most people I know are still working at 44.1kHz. Although, if you are planning on recording orchestral, jazz, folk and other acoustic ensembles you’ll want to be working at 96kHz. There are many ways to connect an audio interface to your computer. More complex connections involve PCMCIA slots, others use fire-wire connection or Thunderbolt (exclusive to Apple). Although fire-wire is fairly common, USB connection is probably the most common and cross compatible (Windows and Mac) which will be the main focus. Available drivers for both Windows and Mac operating systems is also an important factor to consider before you make your purchase! If you haven’t bought yourself a production computer yet, here’s my article on choosing the right laptop for production. This one is the top pick and is for many other producers out there. Focusrite has absolutely dominated the market in making top quality, budget audio interfaces, so it’s easy to see why this model absolutely takes the cake. They have a pretty amazing number of top rated customer reviews online, this alone is certainly compelling evidence that they’re onto something good. With an eye-catching red design on a lightweight, but very solid device; this baby is capable of 24 bit resolution and a 192kHz sample rate. The Scarlett features two inputs and two outputs. 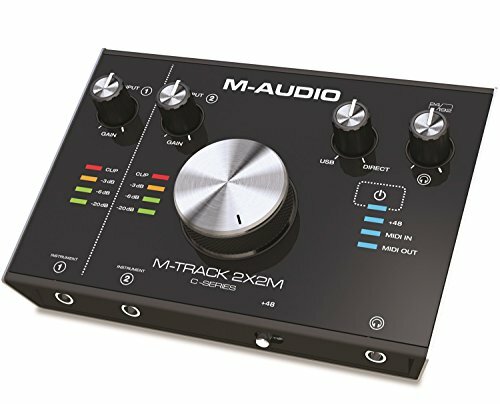 The device has a very low latency of 2.74ms – meaning you can record and overdub all your performances directly into your DAW of choice without any off-putting delay. The Scarlett also comes with a copy of ProTools and the Lite version of Ableton Live, so if you need a DAW, Focusrite will get you started right away. It also comes packaged with a whole bunch of samples (over 2GB worth) and some pretty sweet plugins. This is a seriously incredible package for the price! Aesthetically, this is definitely the favorite interface. The design is sleek and modern. The streamlined interface makes it incredibly simple and intuitive to operate. The controls are clearly labeled and everything looks super neat and simple. There’s a large gain control dial featured in the center with the rest of the controls surrounding it. Even the gain monitoring system in incremental steps is a modern feature in the design. This USB powered interface has very low noise pre-amps, even at higher settings. The analogue/digital converters are high-quality to guarantee top audio performance. You can easily connect up your sequencers, synths and any other external MIDI gear, using MIDI in and out connections. There’s also 2 XLR/1/4” connectors for Mic/Line sources as well as 2 instrument inputs for guitar and bass. One factor worth mentioning is this interface requires Mac OS 10.8 or later and Windows 7 or later. So, you’re going to have to make sure you have an up-to-date system. This interface comes bundled with a bunch of software, including a DAW and VST’s, so you can get started diving into some audio as soon as you open up the box. The 2X2M’s have a fantastic style, quality and price that definitely puts it ahead of the game. The design of the iD4 is also very sleek! It’s certainly a compact device, but don’t let the minimal upper surface fool you – most of its physical connections are featured at the rear of the device. There’s microphone/line inputs at the back, as well as 2 1/4” outputs. Additionally, there’s much more to the capability of this small device than first glance. An optical input port allows for S/PDIF or ADAT (up to 8 channels using S/MUX! ), which both allow up to 96kHz. There’s also a D.I port at the front of the device. 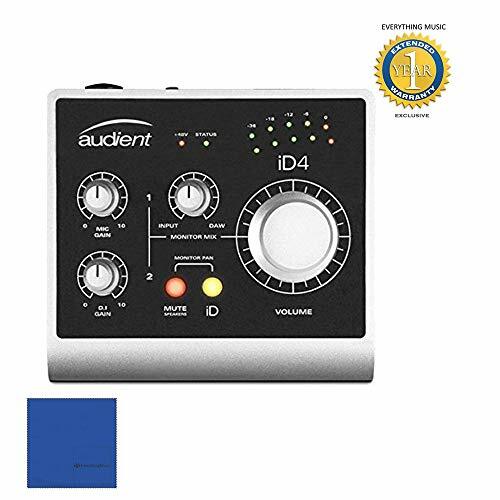 The iD4 boasts an intuitive design, adopting a feature called ‘ScrollControl’ facility, which allows users to utilize the volume encoder as a virtual scroll wheel. This means you can use the iD knob to manually control DAW hosts, plugins and even record automation. This is a real plus for those who like to stream their creativity freely. One setback of this device is there’s no physical metering of input signals. A peak/clipping LED would be particularly useful, however, it’s unfortunately not present. For such a compact device, its capability is impressive and well worth it, considering how reasonable the price is. This interface is great for those who have a seriously low budget, but still want something that’s going to do the job and do it well. This device is USB powered (USB 2.0), and its 2 MIDAS pre-amps are seriously high quality and include +48V of phantom power. Some even proclaim that the pre-amps generate such a high quality sound that it surpasses high end interfaces. It takes 2 XLR/TRS inputs so you can record vocals, instruments to your computer instantly. The U-PHORIA can connect and communicate with MIDI devices, so you can streamline your workflow and creativity. 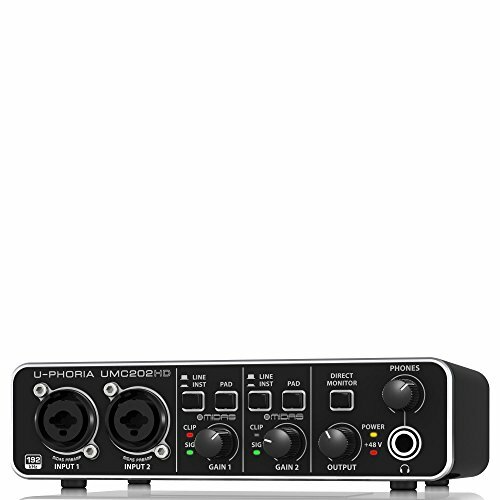 The U-PHORIA features up to 24bit and 192kHz resolution, so you can experience professional standard sound. The metal-chassis is rock solid and impact resistant, so if you accidentally drop this device to and from a gig, it should be unaffected! For just under $60, this is an amazing interface that you will get a lot out of. Finalizing your set up with a good quality audio interface doesn’t need to cost you a weeks rent any longer. You can get yourself a high-performance, sleek looking interface for a fantastic price. Now you have less excuses to put off finishing off your home studio!